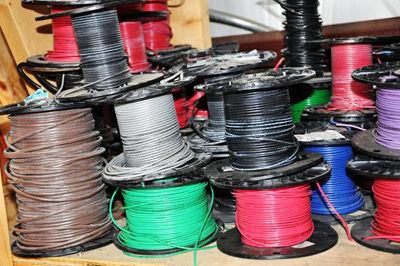 Have our own stocked wharehouse so that we can provide immediate assistance. Avoid uneccessary costs by scheduling preventive maintenance today. BAM was a pleasure to work with during the rebuilding of my parent's house and the remodeling of my kitchen. They went above what we expected from a subcontractor, even making recommendations we didn't think about. When my wife decided to make a change, BAM was willing to make the change without excuses as to why something couldn't be done. Everything was up to code, very professionally done and within the estimate. 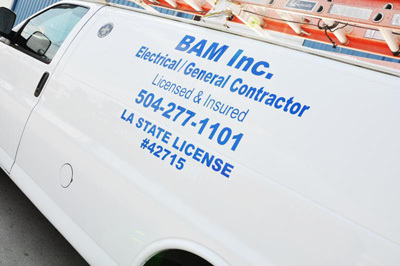 I've used them on more than one occasion and if we need an electrician again, we will use BAM. To get a qoute, schedule an appointing or request more information you can call us at 504-277-1101. Please visit our Contact Us page to send us a request.